This past February, we featured a blog post about Trocaire College, highlighting their faculty grant program, implemented this past fall, to reward innovation in teaching and learning. The program encourages faculty to think creatively about new ways to engage students in classes that traditionally have high attrition rates. Designed to foster the adoption of active learning strategies and the Echo360 technology platform, the grant program was structured as mini-research projects led by faculty members. Grant awardees were required to define specific learning goals and measure outcomes and the overall impact of the technology within their specific courses. The initial results are in! In our recent webinar, three of the grant awardees from Trocaire College presented their findings. In her on-campus Anatomy & Physiology course, Dr. Jennifer Blickwedehl, Ph.D., Professor of Biology, found that the number of students receiving high marks of A’s and B’s increased 10% points from the same semester, the previous year, in which she did not use Echo360. While there was not a high correlation between the amount of note-taking and the top performing students (those who received A’s and B’s), she found that students who took fewer notes did more poorly in class. Dr. Blickwedehl recorded her classroom lectures and increased the level of student engagement in class through the use of live polling questions. She also encouraged her students to take notes within the Echo360 active learning platform. 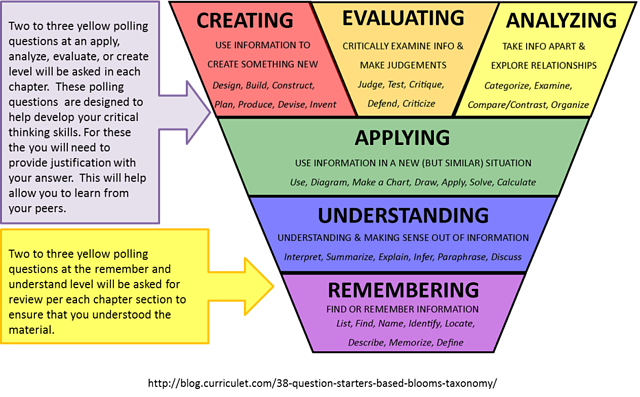 The note-taking tool especially helped students organize key concepts, and flag areas of confusion that could be addressed in real-time. Most importantly, the students reported that they enjoyed using Echo360 and that it helped them learn. They especially enjoyed the accessibility of the platform, and could conveniently answer polling questions from their smartphones or other devices (laptops or tablets). Dr. Kjerstin Owens, M.A., Ph.D., Professor of Biology, taught Anatomy & Physiology in a predominantly online setting. With a goal to increase student participation online and develop their critical thinking skills, she incorporated interactive activities and peer learning exercises into her course. 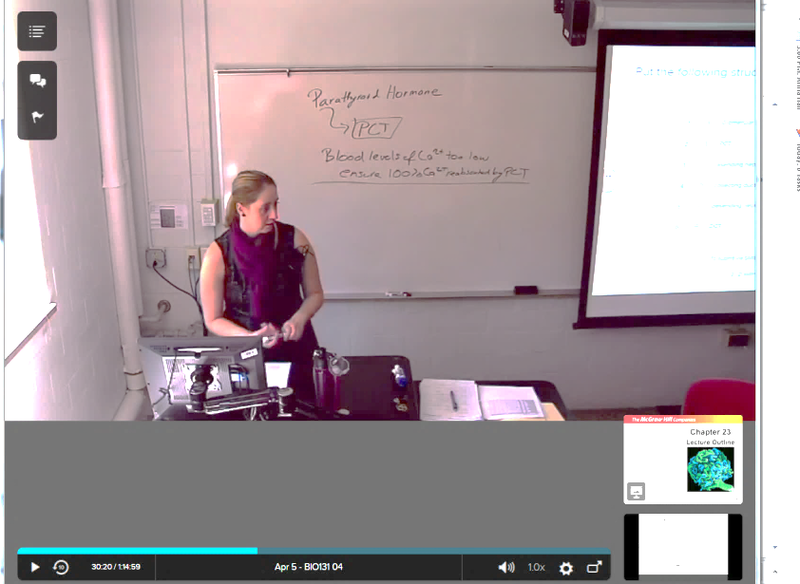 Dr. Owens posted her lectures on the Echo360 active learning platform so that students could view and access the content 24/7. She included activity slides where she asked a range of questions, including multiple choice, fill-in-the-blank, as well as images and pictures, where students were required to identify anatomical features by clicking on a specific part of the picture. The questions helped her assess her students’ ability to not only recall information, but also to work with peers and think critically about, evaluate, analyze, and justify their answers, leading to a deeper understanding of the content. According to Dr. Owens, students reported that the polling questions were very helpful and fun. At the beginning of the semester, many students expressed concern about their ability to successfully complete an online course that was so content heavy, but according to Dr. Owens, the polling questions and activities helped them succeed. Not only did the interactive activities help the students directly, but they also gave Dr. Owens data on student engagement levels which allowed her to identify students who actively participated in the lectures, as well as those who were not engaged. 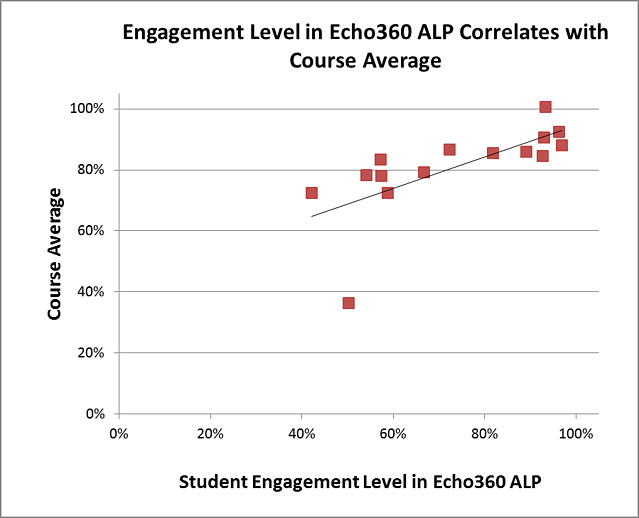 She used the Echo360 student engagement score as a predictive tool and proactively reached out to unengaged students to discuss ways in which they could increase their participation. 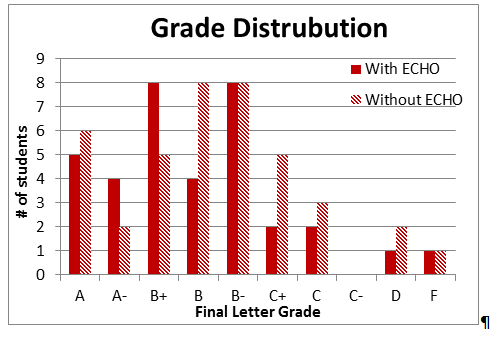 She then studied the correlation between student engagement and course grades throughout the semester. The more students were engaged, the higher the average course grade. But, the real benefit, according to Dr. Owens, was being able to use Echo360 as a predictive tool to reach out to students throughout the semester to help bring them back on track. Rachel Suto McCormick, Professor or Radiologic Technology, used Echo360 to flip her radiologic technology class, with the goal to make the class more student-driven. Students were asked to view recorded videos prior to the lab class and then come to class where the students and instructors would apply what they have learned in the video. She recorded hours of presentations that she would have normally presented in the classroom. Videos were hosted in Echo360 and students accessed videos via their learning management system (LMS). Give the students the opportunity to gain valuable public speaking experience.